Ask serious wine professionals about Greece these days and the responses are remarkably similar. They’ll relate their (pleasantly) shocking first encounter with contemporary Greek wine sometime over the past decade or so, which has led to lifelong admiration and fascination. They may also reflect on the paradoxical ‘newness’ of Greek wines, which, despite 4,500 years of history, have only recently slipped back into drinkers’ consciousness. They invariably acknowledge Greece’s tremendous wealth of indigenous varieties, some 300 odd, which provide a near-endless potential repertoire of unique flavours to offer jaded international consumers, and praise the Greek wine industry’s decision to follow the long, hard road of promoting these unknown treasures rather than the easier but short-sighted one of pushing unoriginal, internationally-styled wines. At recent wines of Greece tastings in New York, San Francisco and Toronto, I witnessed engaged crowds of sommeliers exchanging thoughts on subtle changes in an established producer’s style, or sharing an untapped source of a particular region or grape new to market, as though discussing the insider subtleties of Burgundy or the Sonoma Coast. It was business as usual in the world of wine. Notably absent were the perplexed looks and suspicious eyes that characterize first time experiences, commonplace in Greek wine tastings just a few short years ago. Greek wines, you could say, have arrived. In Toronto there were a staggering 149 industry people on the waiting list to get into an already packed trade seminar in May. I’ve never seen that in all of my years. Yet despite this remarkable success, Greek wines still lack a dimension enjoyed by certain other wines. It’s not a dimension of taste; you’ll find as many squeaky clean or appealingly funky wines here as anywhere else, something for everyone’s taste. It’s neither depth nor complexity nor originality. Simply put, it’s not a tangible asset of quality that’s missing. No, what Greek wines lack is an intangible dimension, a perception that can’t be changed through physical stimuli. They’re saddled with an artifact of history. What I mean is that Greek wines struggle to be “fine”. I’ve often puzzled over this perception, that Greek wines are somehow looked upon as country cousins of fine wines, loved and appreciated, even frequently compared to, but still from the country. (It’s a perception, I quickly add, that many other wines around the world endure equally). The top reds will never be quite as “fine” as Bordeaux or Barolo, whites never the equals of Burgundy or the Rheingau or other imperial strongholds. Why? Again it’s not merely a quality issue – many comparative blind tastings have been done that level the field. It’s simply a perception. 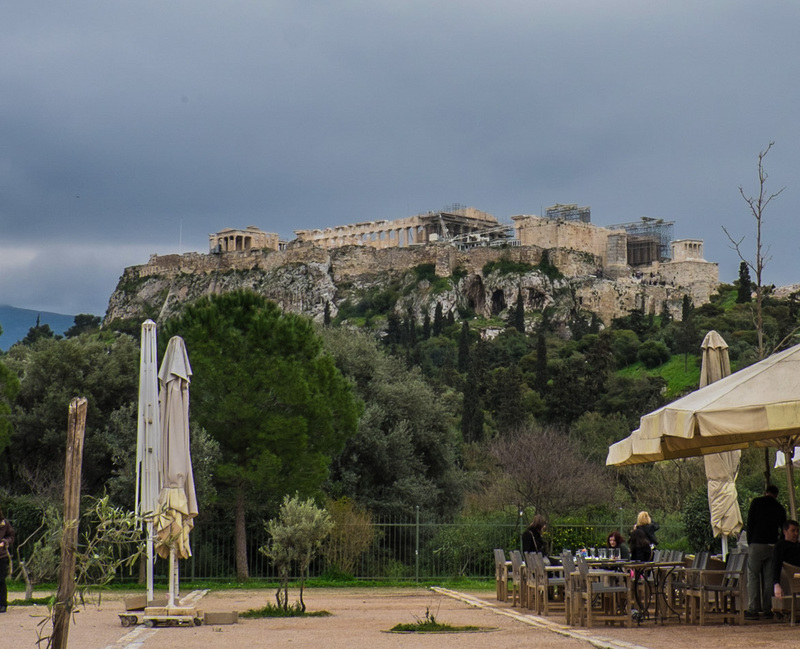 A plausible explanation for this observation came into focus at a tasting last June in Athens, led by Konstantinos Lazarakis MW, one of Greece’s most authoritative voices. As he astutely pointed out, “Greek wines lack an historical aristocracy”. Aha, I thought. There’s some truth here. What he means is that, at least outside of ancient times when Greek wines were celebrated and shipped throughout the Mediterranean, indeed the world’s first to bear a stamp of origin, for the last several hundred years Greek wines have remained essentially a basic local commodity. There was no Greek equivalent of the dukes of Burgundy, counts of Piedmont, aristocrats of Bordeaux, Dodges of Venice, or emperors of Austro-Hungary to champion their cause. There was no local cathedral for royal coronations, as at Rheims in Champagne, where the bubbles flowed and the inevitable link made between local wine, royalty and celebration. There was no one to drag them out of the realm of the commoners and into the aristocratic world. This is key, since only the elite ruling class had both the money and influence to make their local products into luxury goods, sought after, made with the latest technology and destined to command the highest prices. Many wines still bear this halo of aristocracy, an historical relic long disappeared but that stubbornly persists in the minds of wine drinkers. The halo is like a lifetime membership in the world of fine wine. In contrast, during the same period when kings and queens were (figuratively) making fine wines, Greek wine production and distribution remained in the hands of peasants (excuse the term). Landholdings were for polycultural survival, not the discovery of grand cru vineyards. Wine making expertise and ‘technology’ scarcely advanced beyond the time when the Gods of Olympus ruled – it was a true farmhouse operation. And the marketing and distribution system consisted largely of a chat at the village well and the filling up demi-johns of unlabeled wine to trade with locals for other goods. It was as though the Gods had abandoned Greek wines to mere mortals. Of course, things have changed dramatically in Greece. Wineries are some of the best equipped in the world, and winemakers as highly trained as any. And message of quality, as pointed out off the top, has been effectively spread across North America. But still Greek wines lack the aristocratic dimension. They’re outside of the ruling class. The question is: what does that mean to you? It’s well documented that perception of ‘quality’ is influenced by a whole host of internal, non-physical stimuli. Wine appreciation in particular is easily twisted and manipulated by myriad things other than what’s in the glass, preconceived notions, perception of fine-ness rather than fineness itself, etcetera. But if you can, even for a moment, dispense with the appreciation-bending perception of elite ruling class vs. proletariat masses as it colours the wine world, and open yourself up to beauty alone, I think you’ll find that the best wines of Greece, and of many other non-aristocratic regions, have much to offer. Though they lack royal lineage, already they have slipped into the fine wine consciousness of countless wine professionals worldwide. In time, they’ll surely create a new class of respected wines as the old hegemonies fade away. 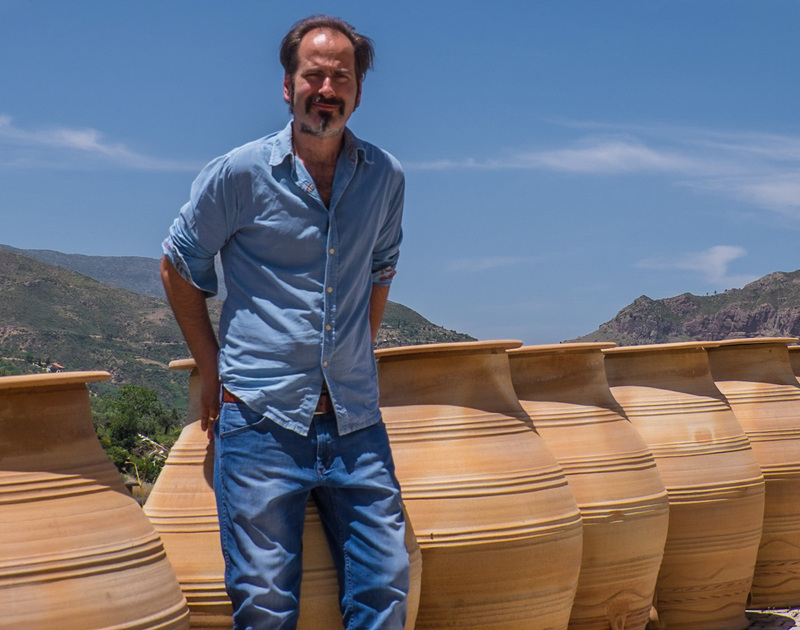 Tetramythos’ Panayiotis Papagiannopoulos and his amphorae at the estate. Check out these genuine wines of people and of place, recently tasted in the WineAlign office and currently in the market. Gaia Agiorgitiko 2015, Nemea ($21.30) John Szabo – ideal elevation around 450m and plenty of limestone make the reds of Gaia Estate and co-owner/winemaker Yiannis Paraskevopoulos, (professor of oenology at the University of Athens in his spare time), particularly delicious. It seems he’s mastered the delicate handling (read: earlier harvest and less wood influence) required by agiorgitiko to show its best, and this 2015 is stylish, spicy-herbal, red and black fruit scented, with tobacco, pine needle, and forest floor flavours reminiscent of the wildly perfumed region itself. The palate is supple but structured, with nicely integrated wood and excellent length. For the money, this is highly classy wine. Michael Godel – From Koutsi in Nemea, Gaia’s 100 per cent agiorgitiko is wonderfully dusty, ripe and modern, like clean and pure merlot in a way, with mulberry and raspberry fruit notes followed by bushy mountain savour. It’s like Rosso di Montalcino or more like Tuscan IGT (with merlot adding to sangiovese). A chewy and crunchy mouthful to be sure and blessed with a shot of bitters and very good length. Domaine Mercouri Red 2014, Peloponnese ($18.70) John Szabo – Be forewarned: this is not a mainstream wine. I’ve never been to Mercouri on the far western edge of the Peloponnese, but tales of the estate’s exotic beauty are legend, and this wine is equally exotic, funky and beautiful in its own original way. I love the nose of faded rose petals, wild herbs and dried red fruits, liquorice and freshly turned earth of this unique refosco-mavrodaphne blend, like a walk through a Mediterranean garden, while the palate is mid-weight, silky and balanced, with exceptional length, depth and complexity for the price. Spiropoulos Porfyros 2013, Peloponnese ($19.85) John Szabo – For something a little closer to home on the flavour spectrum but well worth a look, try this toasty, smoky, wood-inflected, graphite-tinged Bordeaux meets-Greece blend (agiorgitiko, cabernet sauvignon, cabernet franc and merlot). Wood is a significant influence for now, but the dense, firm and well-structured palate should keep things together through to full integration in another 2-3 years or so. Certified organic. Domaine Thymiopoulos Terre Et Ciel Xinomavro 2015, Naoussa ($32.00) John Szabo – This is a stellar wine from one of Naoussa’s leading producers, with lovely high-toned, floral, lightly volatile-lifted aromatics, medicinal herbs, red fruit, fresh earth, dark spice… In other words, it’s an amazingly complex, if edgy red, for fans of the lifted, old world style (think Italian). The palate is succulent and sappy, richly endowed with fruit (and some brettomyces it seems), adding more funky character, but it works so well here, lending a honeyed, bees wax profile. While this certainly isn’t for everyone, those who love the style, will love it a lot. Disclaimer: an alive wine like this may change from bottle to bottle – don’t expect clinical consistency. Thymiopoulos Young Vines Xinomavro 2015, Naoussa ($20.00) Michael Godel – Here is the Naoussa little angel xinomavro affiche sans barrel, just pure, unadulterated, elastic and playful fruit in a glass. The xinomavro that everyone should know and love, enjoy with reckless, gulpable abandon and put seriousness aside. From 2015, a “3000 per cent better vintage than ’14” says Apostolos Thymiopoulos with a smile of relief and bounce back determination. The last thing you need to know is how lithe and ethereal this is, like pinot noir, in Naoussa, with xinomavro. Papagiannakos Savatiano Vieilles Vignes 2016, Attica ($17.65) John Szabo – This is a lovely, reductive-stony, citrus-driven Savatiano from old vines (c. 50 years old) on limestone, which presents more like a wine from much further north in Europe. Some might find the sulphides a bit heavy (flinty, matchstick), but I find it adds a great deal of character. Serve this nicely chilled for maximum effect. Steve Thurlow –This is a very flavourful wine with soft acidity and lots of ripe fruit. Expect aromas of melon and apple fruit with some bread and beeswax notes. The palate is well balanced with very good length. Good focus. Chill lightly and try with seafood. Michael Godel – From Attica the old vines do elevate savatiano to a fine level, above and beyond the pale and the ecru. This is more aromatic than you might think, of lime juice, fresh thai basil and the inside of a beeswax-lined concrete tank. I can see this developing some honey post green figs and lime though it is broader on the palate with some honeydew adding to the green fig. Really needs grilled fish and a good chill. 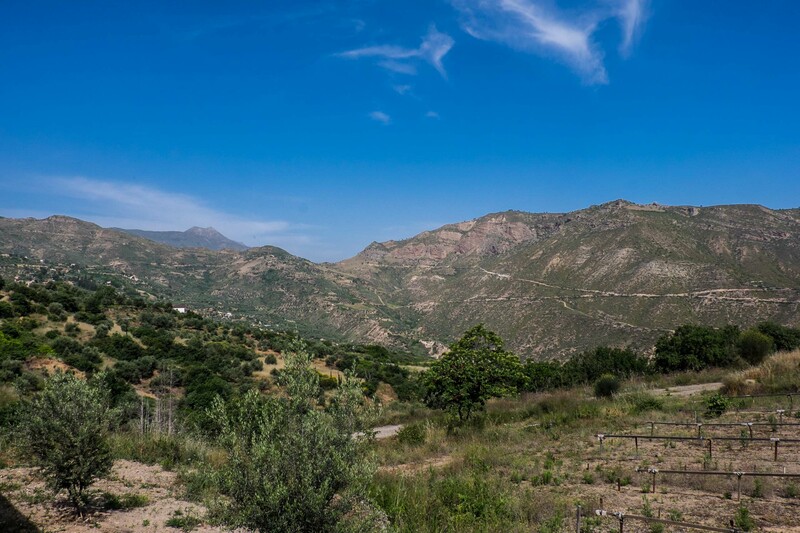 Domaine Tetramythos Roditis 2016, Peloponnese ($17.95) John Szabo – An engaging, well made, infinitely drinkable roditis here from the ultra-minimalist Tetramythos winery in the northern Peloponnese, crunchy, bright yet infused with Greek sunshine. No artifice, no unnecessary additions or subtractions. Dig deeper and you’ll find lovely floral notes, even fresh vanilla pod (though this is totally unwooded). Good to very good length, finishing on saline minerality. Infinitely drinkable. Michael Godel – Roditis 2015 is the natural one, the cleanest and purest of the natural wines on the planet, low in pH, high of natural acidity and without a care in the world. 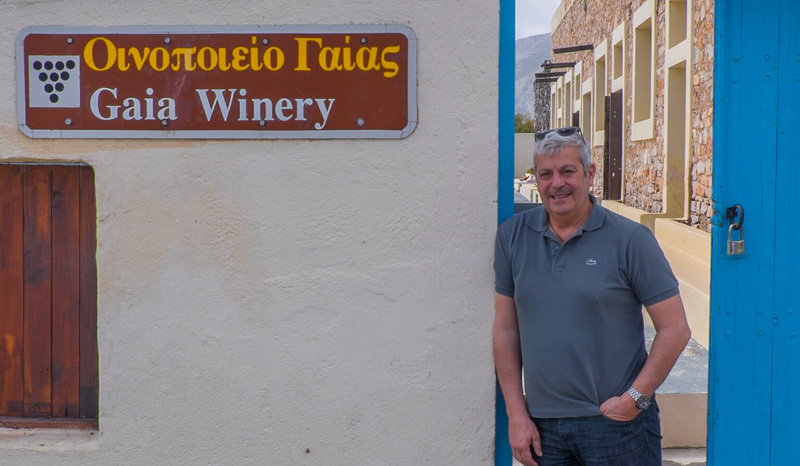 You just have to take a stab in the dark with winemaker Panayiotis Papagiannopoulos’ roditis. Or you have not yet lived. Steve Thurlow –This is fresh clean lively white with delicate aromas of melon and pear fruit. It is midweight with lots of flavour and good to very good length. Try with bbq chicken. Tasted May 2017. Lyrarakis Vóila Assyrtiko 2016, Crete ($18.45) John Szabo – From an unirrigated parcel called “Vóila” at up to 580 meters elevation, this is an intriguing version of assyrtiko, most famous on the island of Santorini just a hundred miles to the north, but a totally different world. I like the density and the flavour intensity, the almost searing acids, unusual in this warm, sunny, Mediterranean climate on limestone hills, and the exceptionally long, bracing, lime-flavoured finish. Assyrtiko proves its adaptability once again to harsh climates, delivering a wine of strong character and personality, and natural balance. Estate Argyros Assyrtiko 2015, Santorini ($25.95) Michael Godel – From 150-plus year-old ungrafted vines in Episkopi on (and it can’t be overstated) volcanic and sandy soil. The tenacity of assyrtiko vines built up from lava soil and the steadfast grip mixed with some barrel cream puts this in a singular category for white wine. Low yields, assyrtiko, a volcano, architecture and impeccable balance bring this all together. Troupis TOMH Rosé 2016, Peloponnese, Greece ($20.95) Michael Godel – I tasted this magical, single-vineyard moschofilero blush on two consecutive days and each time it gave me shivers. It is usually red wine that turns water into Rosé but moschofilero carries pigmentation and is light-skinned so it’s best of both worlds suitable, like a perfect cross between pinot gris and for the sake of argument, pinot noir. There is faint cranberry, pomegranate and currant notes mixed with mountain tea and such salinity. Wine Art Techni Alipias White 2016, Drama Steve Thurlow –The 2015 vintage is quite delicious with a complex very appealing nose of lemon and passion fruit with sweet dried herbs, lavender and thyme. It is midweight and very juicy with the fruit nicely balanced with fresh lemony acidity. It is creamy and rich with very good length maybe just a little sweet. Boutari Moschofilero 2016, Mantinia Steve Thurlow –Moschofilero is an aromatic white from Greece. Expect aromas of apricot, peach and lavender with ginger spice notes. The palate is rich with fruit and it is well balanced with a nice touch of bitterness on the finish. Good to very good length.